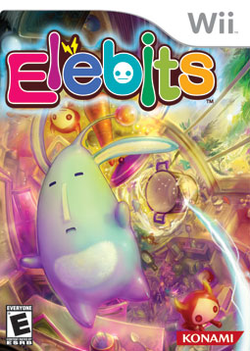 Elebits (known as Eledees in Europe and Australia) is a Wii game developed by Konami. In this engaging game, you must lift up furniture, cars, buildings, and pretty much everything to find Elebits. Using the Wii Remote, you can zap Elebits and manipulate objects. You also encounter giant Boss Elebits that require you to use strategy and wits to capture them. This page was last edited on 10 July 2017, at 11:09.